Eric and Robin Gagnon, the founders of We Sell Restaurants have each recently earned a designation in the industry as a Certified Business Intermediary or CBI. The prestigious designation is held by less than 500 individuals worldwide. The two tested last week in New Orleans at the annual conference of the International Business Brokers Association. Those holding this designation represent a unique community of professionals who have undergone significant coursework, possess relevant experience and have passed a test consisting of both industry knowledge and financial competency in recasting. The CBI designation is earned through the International Business Brokers Association or IBBA. 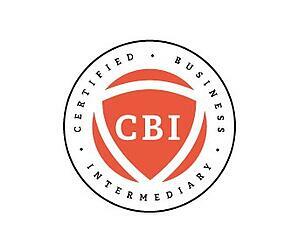 The IBBA website states that, "the Certified Business Intermediary (CBI) is a prestigious designation exclusive to the IBBA that identifies an experienced and dedicated business broker. It is awarded to intermediaries who have proven professional excellence through verified education as well as exemplary commitment to our industry." They go on to remark that the designation will, "indicate to potential clients that anyone who holds the CBI certification is a knowledgeable, invested, and dedicated brokerage professional. Successful completion of the certification process significantly distinguishes business brokers from their peers." Lifelong learners who are committed to the business brokerage and restaurant industry, the Gagnons had this to say about their latest certification. "Teaching others how to buy a restaurant, sell a restaurant or just providing overall knowledge and data points are critical to our practice. A designation like the CBI is just one more piece to our overall commitment to the highest caliber knowledge base we can draw upon to help our customers." 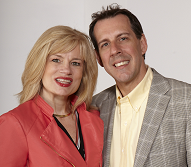 Eric and Robin Gagnon have long histories in the business brokerage industry. They launched the We Sell Restaurants brand in 2001 and currently work in approximately 45 states across the nation. Eric is the founder and President of We Sell Restaurants and wesellrestaurants.com. He is the nation’s leading restaurant broker. Eric is an industry expert in restaurant sales and valuation. Eric, along with Robin is the co-author of Appetite for Acquisition an award winning book on restaurant brokerage published in 2012 and named "Best of" by Small Business Book Awards. Eric began his career in the financial services industry for Bank of America, Bank of New York and big five accounting firm, KPMG before launching the nation’s premiere restaurant brokerage firm and restaurant brokerage franchise. Eric is the Past President of the Georgia Association of Business Brokers (GABB) and Lifetime Member of the Million Dollar Club. He is also the recipient of the Phoenix Award, presented to a select few who have received the Million Dollar Award for more than a decade. He is a member of the International Business Brokers Association (IBBA), Business Brokers of Florida (BBF), and the International Franchise Association (IFA). Eric is also an active member of the for the Southeast Franchise Forum where he serves on the membership committee. Eric is licensed as a Broker in Georgia, Florida and South Carolina. He holds degrees from major universities in both the United States and Canada. Robin is the Co-Founder of We Sell Restaurants and the firm's Chief Marketing Officer. Robin is one of the most prolific restaurant brokers in the industry and is a franchise resale specialist. Robin's expert articles appear online and in print across the country. She co-authored Appetite for Acquisition, the industry's leading book on buying restaurants that received the prestigious "Best of " award by Small Business Book Awards. Robin is a member of the International Franchise Association and serves on the Women's Franchise Committee and the 2018 Conference Committee. She is also the Chair of the Women's Franchise Network - Atlanta Chapter. Robin holds an undergraduate degree and an MBA where she graduated first in her class and was named "Outstanding MBA." Robin is an emeritus member of the ASU Business Advisory Council. She is also a founding member of the ASU Entrepreneurship Board. Robin is a licensed real estate salesperson in both Georgia and Florida and member of the Georgia Association of Business Brokers (GABB), the International Business Brokers Association (IBBA) and the Business Brokers of Florida (BBF). She has been named a National Industry Expert by Business Brokerage Press in Franchise Resales. Prior to joining We Sell Restaurants, Robin served as Vice President of Strategic Marketing for a $4 billion-dollar retailer and Director of Advertising and Director of Business Development for another Fortune 100 company.